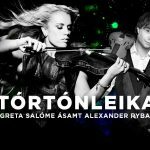 Singer Greta Salome and Eurovison-star Alexander Rybak will be a concert in Hof in Akureyri on 17 March. “This will be a real fireworks,” says musician Greta Salome Stefánsdóttir that will hold a concert with Eurovision-star Alexander Rybak in Hof in Akureyri on 17 March. Violinists Greta Salome and Rybak met in Eurovision Song Contest in Baku in 2012. Greta Salome and Rybak first met Eurovision Cup in Baku in 2012. 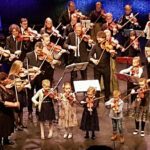 “We are both violinists, singers and composers, but this is not a big business when it comes,” says Greta says that the concert in Hof is for the whole family. “It will all find something to their liking. We’re going to sing both old and new songs, pop, rock, classical, Disney and Eurovision, together and separately. 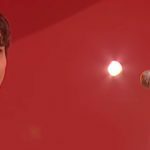 The concert is on a Friday so it can go directly to our fun by or enjoy an evening with the family, “she says, adding that it is never know if they hold a second concert in Norway, the country of Rybak. But since I am uppbókuð out in February 2018, we find a very good date. It would be really nice. 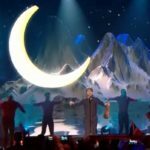 Rybak is a very big star throughout Europe, with millions of followers on Facebook. He is always on tours and is the largest Eurovision winner from the start – he holds a record when it comes to destroying the competition. The article first appeared in Akureyri weekday newspaper. Click here to read the newspaper .